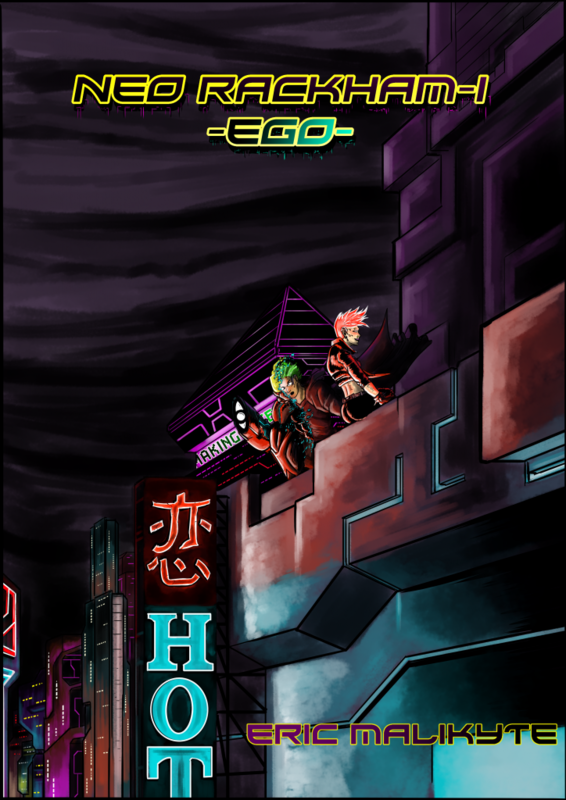 Neo Rackham I: Ego kicks off a new cyberpunk anthology available only on Eric Malikyte’s Patreon! This short story is available HERE on Patreon, you can get access by pledging as little as $1! To gain access to many other short stories by Eric Malikyte become a Patreon Member By clicking HERE! Neo Rackham I was a lot of fun to write for me. It’s probably the most explicit story I’ve written so far, save for what’s in my forthcoming novels. Originally, it was going to be a Black Mirror style short like Headcase was, but centered around immersive VR games and some kind of crime or heist involving cryptocurrency. Some of that made it into the final story, but it’s much more influenced by Ghost in the Shell, Neuromancer, or Blade Runner than Black Mirror. But, at it’s heart it’s a tale of a brother going astray, losing himself in the search to find his own identity in a world that does not value individualism. Eric Malikyte was raised on a healthy diet of science fiction, fantasy, and a fear of the unknown. Thanks to shows like Sightings and The Art Bell Show, Eric developed a mixed interest in the sciences and the paranormal. He lives in Northern Virginia, where he spends time working odd hours and talking to his cat while he writes his novels.